It’s that time of year when the ghosts & goblins take over camp. Work one or two weekends. Everyone can work the Haunted Trail!! We will house you & feed you well while earning service hours. Online registration for Boy Scouts! 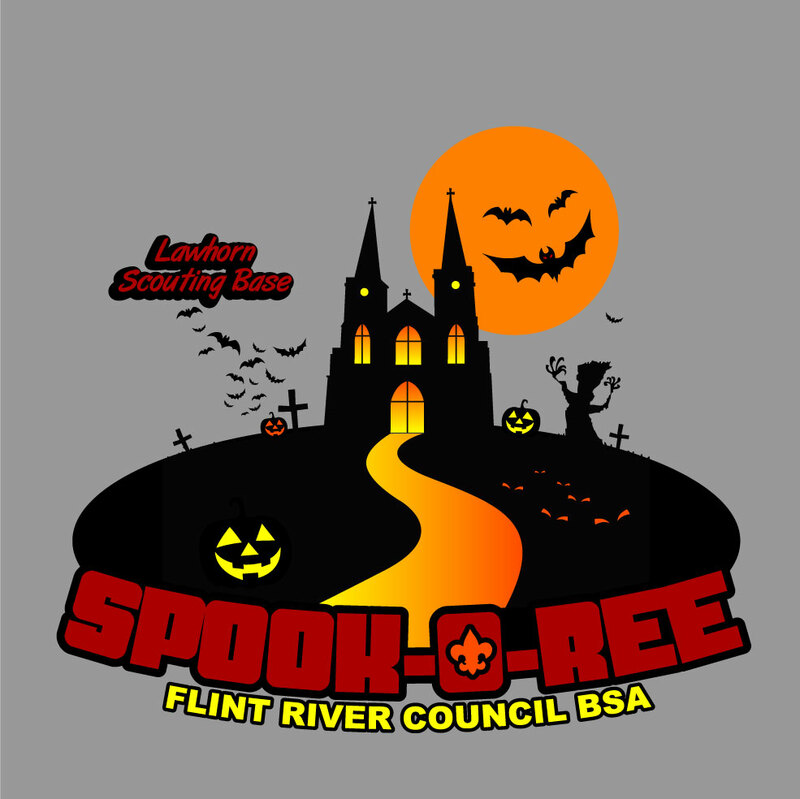 Please register below for your Troop to attend Spookree. There is a limited number of slots available for each weekend, so sign up early! All Scouts and adults working Spookoree are given a one time credit to be used by September 30, 2019 towards a Troop weekend. Each credit will be good for one free activity (1/2 day canoe/kayak river trip, Council Boy Scout shooting weekend, or Council Boy Scout climbing weekend) in addition to one or two nights of camping at Lawhorn Scouting Base. One credit will be given for each Scout and Adult working Spookoree and must be used over one weekend. For example, if Troop 32 brings 6 Scouts and 2 adults to work at Spookoree, they will receive a credit for 6 Scouts and 2 adults to use towards their Troop weekend. All credits not used by September 30, 2019 are forfeited. Troops must contact the Camping Department to make their Troop weekend reservations which are subject to availability.